Suits aren’t just for the office so let me help you give your summer suits an off-duty sartorial update. 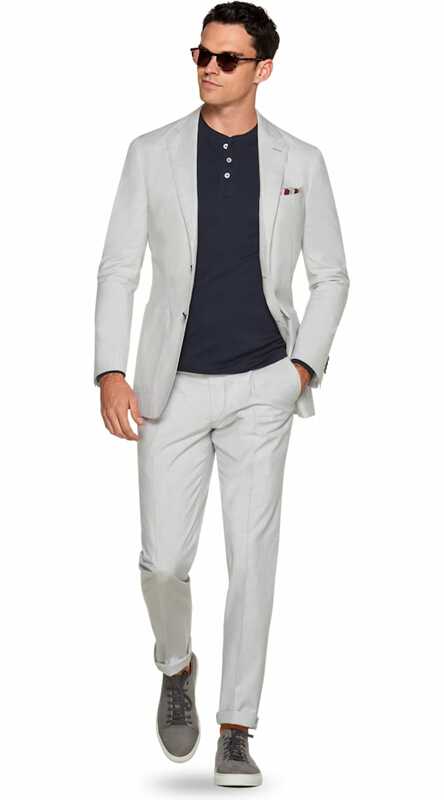 In the spring and summer months I like to pair a two-button light gray suit with comfortable shoes and a t-shirt to create a look fit for 80° weather. Believe it or not, this color suit can be as versatile as khakis and it works for any occasion. The trick is finding the shade that is right for you and straying away from aggressive plaids and CEO pinstripes. 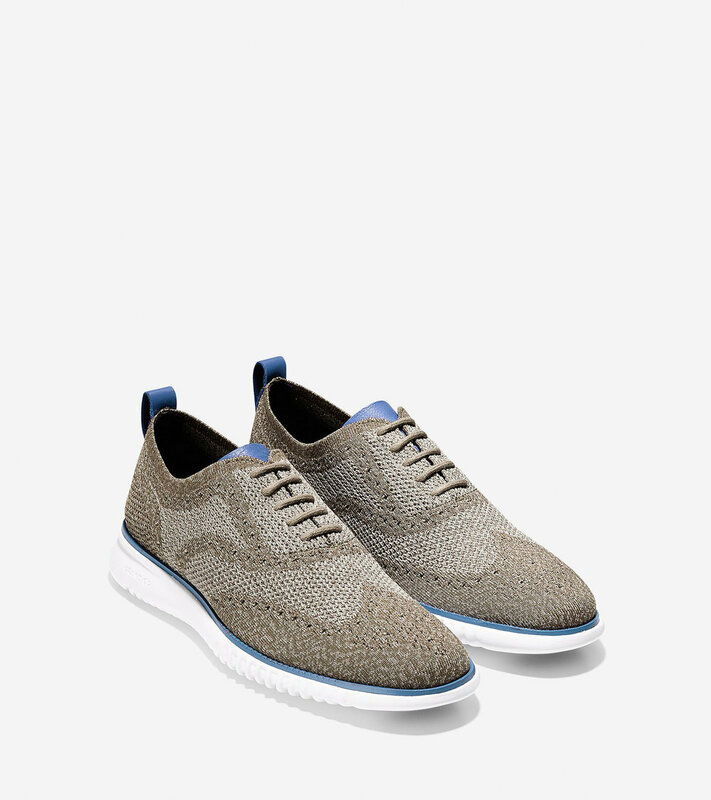 As for the shoes, sneakers are usually my go-to but these days style is made simple with many options of perfectly-made shoes for those who seek more bounce in their step but still want to look polished and professional. It’s a known fact that a man in a nice suit is usually a man with something to say and his shoes should never shy away from the conversation. Shoes are a complementary extension of what’s happening above the ankle, and while I’m talking about ankles, showing yours is strongly encouraged with this look. This look is much easier to pull off than you may think, and it can be worn to work on a casual Friday, to a date, or even a summer wedding. Always keep in mind that clothes make the statement but your shoes are the sartorial equivalent of an exclamation point at the end of it. So go ahead, give it a try. Admiring looks will abound. If you have any questions about this look or any other look on the blog, remember that you can always ask me anything in the comment box below. Have a great week and don’t forget to subscribe to my newsletter to get Reyal Fashion sent straight to your inbox. What Exactly Makes a JCPenney Suit so Great?